Desperate Chefs' Wives: So Where Are We? I wish, I absolutely wish I had more time to blog. But as it goes, my plate is full, no pun intended. I'm teaching middle school (oh, the lovelies), running a school, house hunting, rearing a two year old, potty training a two year old, praying for chemo to kill all the cancer cells in my momma, and keeping my head above water- just barely above water. I just haven't got the time to spend blogging and again, I'd like to invite you to write a personal blog of your story: struggles and successes. I love the way this blog brings women together and I need to keep that going. Oh, and a bit of personal news: My husband Erik is the new Chef de Cuisine at Jean George. His first job was at jean George when he was 19. Now nearly 10 years later, he's back full circle. I couldn't be prouder, and he couldn't be prouder. 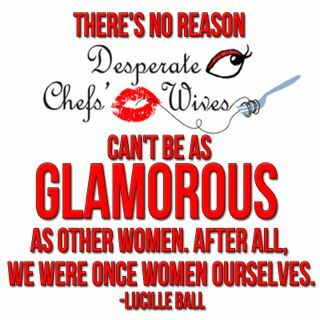 Thank you for always posting from your heart and making us chef loving ladies feel less lonely! Every few weeks I hit a low that I am feeling today. I am a chef wife who has a 3 yr old. Today is a huge struggle. I feel angry, resentful, exhausted and like a failure for not being able to cope. I keep asking myself, why can't I get it together. Mentally I just can't keep it together. My son, who is wonderful can be demanding and smoothers me. I just don't know how long I can keep up with a full time job, the house, spending quality time with my son, be a decient wife, coach to my parents who are separating and take care of myself. I often want to just leave it all, not forever but just a few nights however the guilt would bring me back. I have always thought that every year it is going to get better with my chef. We will be able to spend more time together. Yes that has happened but now my chef is so tired from basically working 60 hours a week and taking care of us. I am still hopeful that one day its going to be different, maybe when we retire! I needed to let this out and this blog is a great place to do it. Only a chef wife would understand. Thanks for sharing. I can feel your pain, mama! Congrats to your chef for his amazing accomplishment. He is obviously very talented and has a great work ethic to merit such a position. 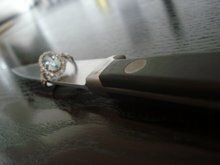 As a chef wife of fifteen years, I have made peace with the thrills and challenges that his career presents. You bring back memories with your postings of potty training. There were so many times that I felt like (feel?) like a single mom. Not to be disrespectful to single moms - just not able to rely on back up. Hang in there! We still can't have a restful, couple-y moment without a text about the lack of striped bass from a purveyor, etc. The kids are older (9, 7, and 6) so the challenges are different. Once they are feeding themselves, dressing themselves and using the bathroom, you are over the hump! Now if you could just get a full time maid, nanny and concierge . . . 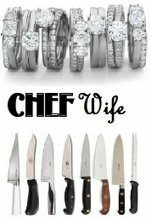 I have been with my chef for nerly six years and married for one of those. I find it really hard at times especially seeing as he work a crazy amount of hours (talking 80 plus a week in a high profile place). When I read your "so were are we?" it made me sigh in relief. Im a high school teacher, and im the only person i know in my situation. All our chef friends are with people in the hospitality industry so getting time off together is easier for them. It was just really nice to read that im not the only teacher/chef pair out there, and that with everything else your dealing with, your getting through it. Hi.I'm clare, I spent with my chef 10years marriage. but it's gone. I found out he cheated 2year with young girl waitress. they want me to divorce now.